Here’s a wedding reception table featuring the sherbet, sweet colors of summer. Tall arrangements with a mix of garden roses, roses and droopy filler flowers create the natural, romantic feeling of falling in love. The fresh rose petals underneath the charger plate accent each place setting!! And embellishing chairs at the head table is a wonderful way to honor your bridal party. 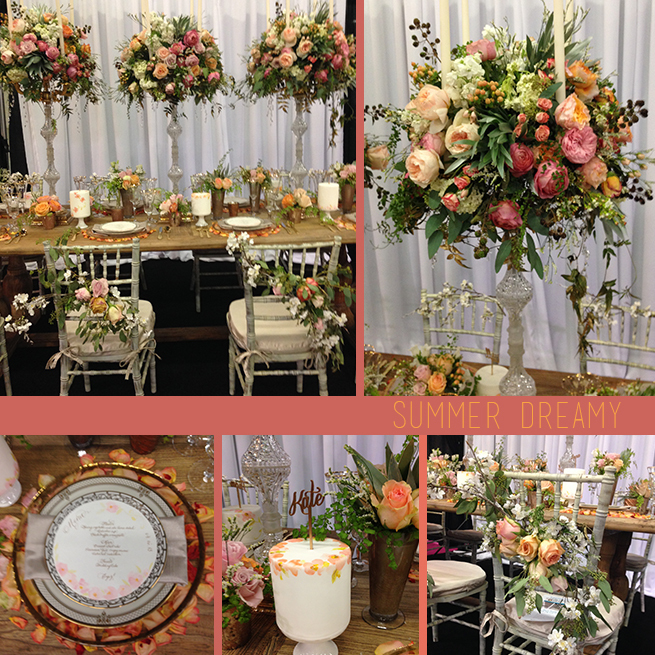 This wedding theme idea was recently shared with Event Pros at The Special Event convention. Get ready for summer weddings! A special thanks to the talented team at Grand Soirees Event Design who styled this absolutely beautiful scene. Want to explore a range of similar flowers to these? Shop our Garden Rose section and Fresh Rose Petals.